Who replaces Morgan and Langford? Is Devonte Green ready? Can anyone shoot the 3? What's Trayce Jackson-Davis' role? Is more help on the way? BLOOMINGTON — At its best throughout the 2018-19 season, Indiana proved it could compete with, and even beat, some of the top teams in college basketball. It wasn’t as much as this team looked capable of at the end of December. It was much more than this team looked capable of at the end of January. In the absence of the Hoosiers' leading scorer, IU's other guards have stepped up. Ionescu's Court: Can the Hoosiers take down the Ducks? Sometimes college fans ask what's so different about the NBA. Many things, among them, that's 6-foot-11 dribbling and passing to 6-foot-8 on a dead sprint. 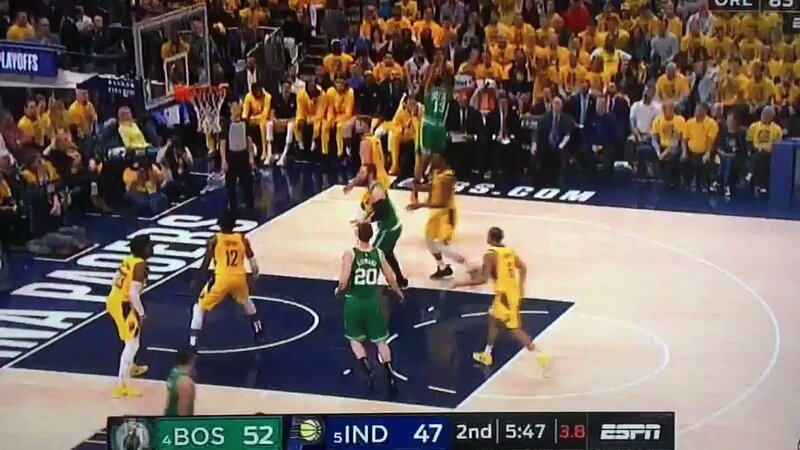 Look how deep Thaddeus Young is on this defensive rebounding situation and how fast he gets to the other end for a catch and dunk after two dribbles by Sabonis. RT @ScottAgness: Victor Oladipo received clearance from his doctor to travel from Miami and has a flight scheduled this afternoon **to attend** Game 3 (8:30pm). It will be his Pacers game since suffering a ruptured right quad tendon on Jan. 26.